FREEBIE End of the Year Labels, Bookmarks, and Note Cards! Could this time of year be any crazier?!?! On top of the end of the year insanity, I have to pack up my classroom! I took a break from filling out end of the year student info and housework to finish up this little end of the year freebie file I have been working on. I hope you are able to use it, and I hope it makes your end of the year a little easier! Candy bar wrappers, treat bag labels, bookmarks, and note cards are included. Please let me know if you would like anything else added or changed! Click on the picture below to see the file on TpT. Ohhhh! 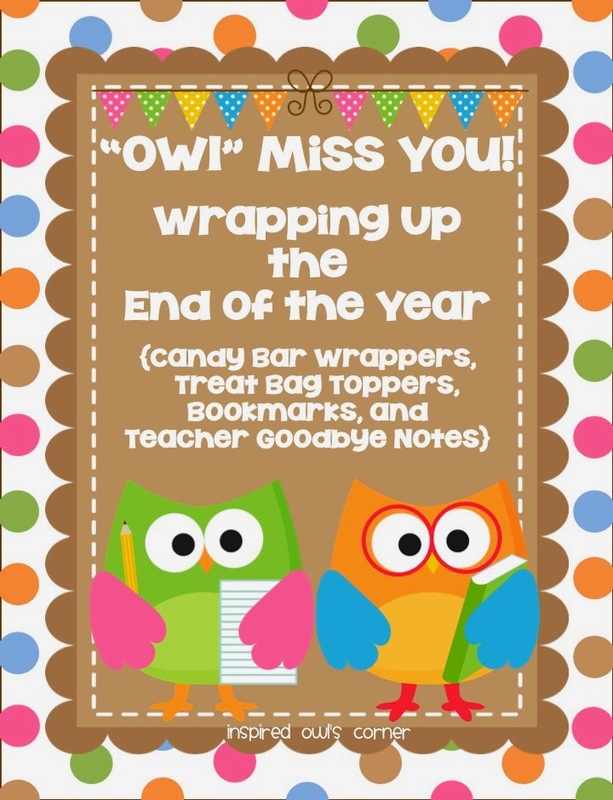 This end of the year file is so perfect for my owl themed classroom and you made it to share! :-) I appreciate that and look forward to using these cuties!